This is the home page of QuantumSoft, the developers of pro Fit. 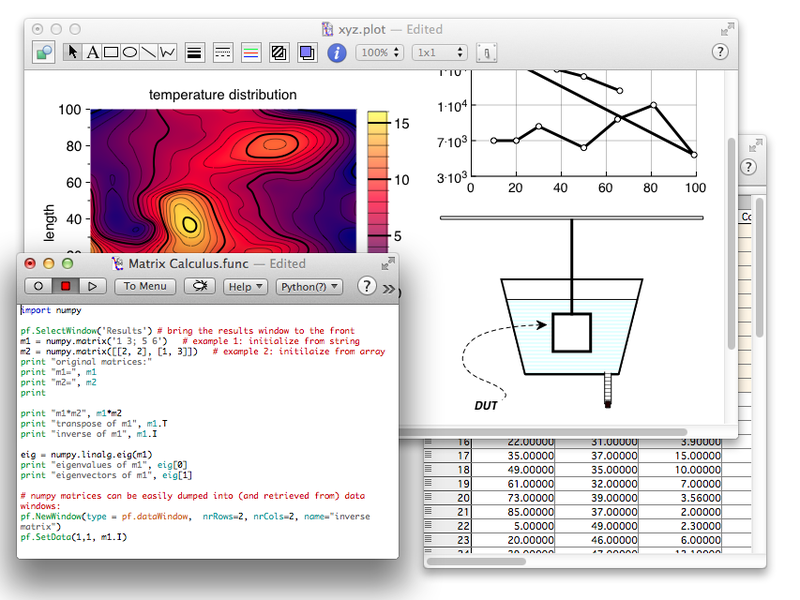 pro Fit is a Mac OS application for data/function analysis, plotting, and curve fitting. It is used by scientists, engineers and students to analyze their measurements and the mathematical models they use to describe them. You can define any mathematical function and use it to model your data, finding the function parameters that best describe your observations. A vast number of tools allow the mathematical and statistical analysis and processing of functions and data sets, and you can produce esthetically pleasing graphical representations for your scientific reports. This site provides further information, downloads and support for pro Fit. This maintenance release removes an incompatibility with issue with macOS Mojave, which could lead to problems when opening large files, and fixes several other bugs. This is a recommended update for all users of pro Fit 7.0. Go get it. It is free for all pro Fit 7 users. This release fixes various issues and it is a recommended update for all users of pro Fit 7.0. Go get it. It is free for all pro Fit 7 users. pro Fit can be purchased here starting now. This is the full version of pro Fit 7.0, offering several new features. It is free for anyone who purchased pro Fit 6.2 since January 1, 2014. Upgrades for a reduced fee are available for all other current 6.2 users. This release corrects minor bugs and improves compatibility with MacOS 10.10.1. See the release notes for more details. 6.2.16 is a free upgrade for all users of pro Fit 6.2 and works with the same registration codes. Download it from our downloads page.